We are officially onto the finishing details of the kitchen which is quite exciting. We did a big push a couple of weeks ago to get as much big stuff done as possible before my parents came down to visit so a lot of pics will have details that we haven't shown you yet but I'm going to go through them one by one. 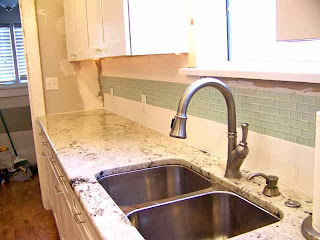 Today is the new backsplash. Nate was super nice to me and put this in all by himself so I wouldn't kill my back. This is usually my job because I tend to be super picky but this time Nate was and even took out a section and redid it because it wasn't perfect. 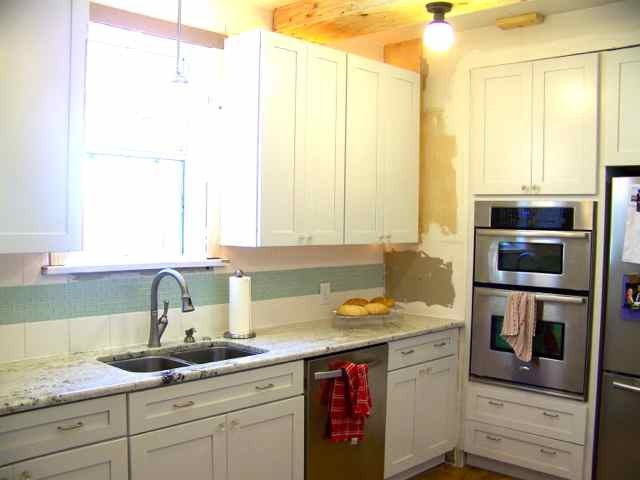 We did a layer of large white subway tiles on the bottom and top and in the middle put small glass subway tiles in a sea glass color. Initially, we were going to use clear bubble tile in the center and I was super excited for it. Unfortunately, pretty much every sheet that we bought at Lowe's of this stuff had stained and cracked tiles. I was super bummed and we even called the manufacturer to see if they could do anything for us but all they would do was replace it with no guarantee that the new stuff would be any better. Instead of trying to get enough sheets of tile that actually would work, we decided to go to plan B which was to choose different tile. 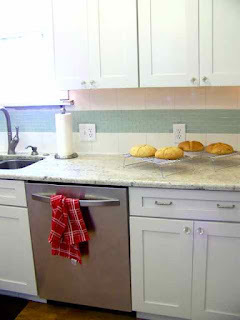 The sea glass tile is definitely more bold than the bubble tile but it is a wow factor when you look into the kitchen. The granite also had quartz pieces in it that are the same color so it really draws your eye to that as well. Despite it not being our #1 choice at first, we both really love how it turned out in the end. 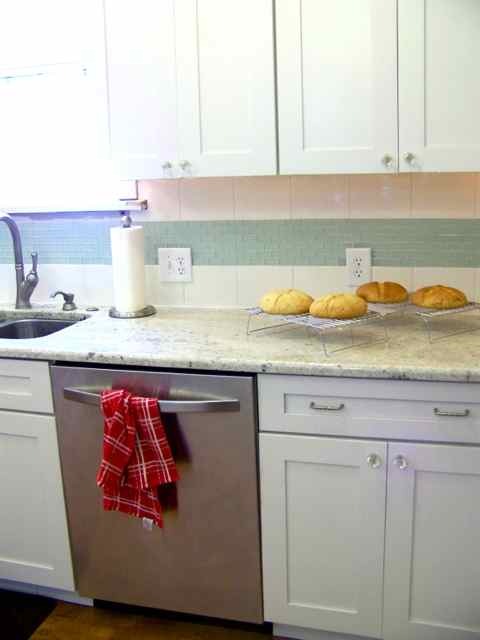 The backsplash is gorgeous! Great job! 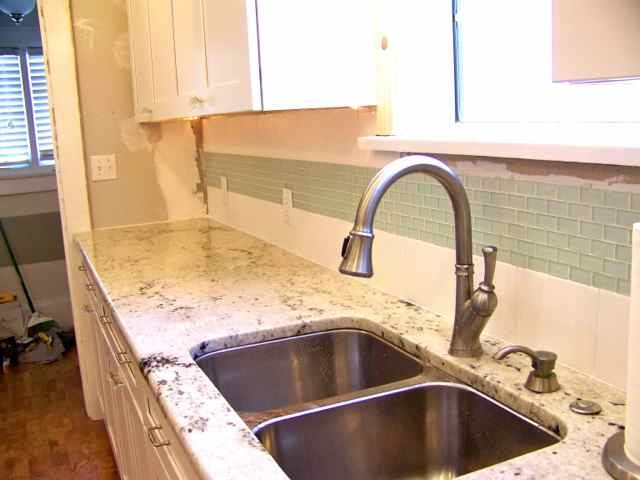 Great job on the backsplash!